An extraordinary number of people on Facebook and other social media platforms access their accounts on a mobile device. Why is that important? Because if Facebook users are clicking over to your medical or dental website from a mobile device, your site needs to have a mobile-friendly design to give those users the best possible viewing experience. This goes for Google and Yahoo users too, as well as anyone who is visiting your site to find the information they are looking for. We’ve been sounding the alarms about the mobile revolution here at Rosemont Media for many years, and the reason is simple: smartphones and tablet computers have changed the game, and we all have to change with it. 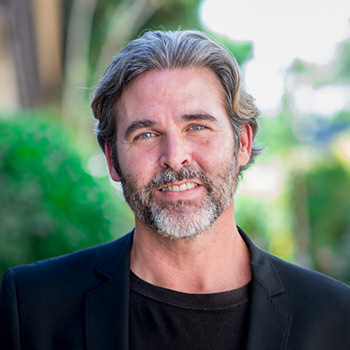 The gradual (yet rapid) integration of mobile devices into our society has had an impact on virtually every aspect of the Internet, including how websites are seen and experienced, how they are ranked on search engines, and the overall technological and stylistic approach to their design. Utilizing a responsive website design and mobile-friendly design technology ultimately makes the user’s experience easier and faster, eliminating the need for constant pinching, swiping, and resizing. This reduces frustration when trying to navigate the site and decreases the chance that the viewer will simply go to another, more easily navigable website to find what they’re looking for. In fact, it’s not just user-friendliness that’s important; a mobile-friendly website design is critical to helping the site perform well and making your practice more visible online. A few years ago, Google essentially laid down the gauntlet when it comes to mobile design technology by updating its ranking algorithms to give mobile-friendly sites priority over others when being searched from a smartphone or a tablet. Quite simply, people access websites on a mobile device in far greater numbers than they do while utilizing a desktop computer. Without a mobile-friendly website design, a large majority of viewers may be having a bad experience on the site, and are more likely to look for the information they need on a website that does have a mobile-friendly design. 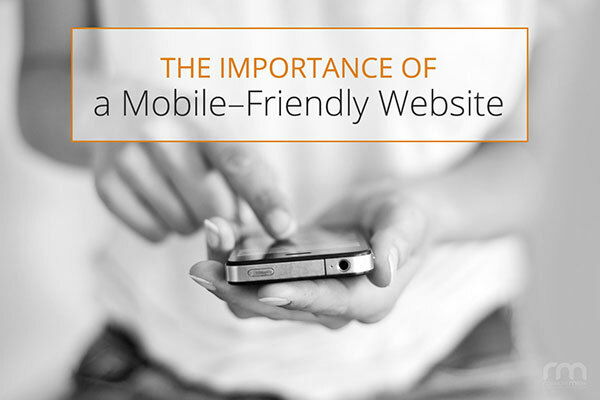 The benefits of mobile-friendly, responsive websites are almost too numerous to count. The user experience is significantly improved, the design and interactive technology are smooth and fluid, in-depth content isn’t sacrificed for a smaller screen. With that in mind, upgrading to a responsive website is one of – if not the – most important things you can do for your website. Here at Rosemont Media, our standard website design techniques involve creating websites that are not just mobile-friendly, but responsive. Essentially, a responsive website design makes the site flexible—the same comprehensive viewing experience that can be had on a widescreen, desktop computer can also be obtained on the smaller screens of smartphones, laptops, and tablets. The only difference is that the website is able to recognize how it’s being accessed, and therefore instantly make accommodations to ensure the viewer is able to easily navigate and clearly see the content and imagery available on the site. The design elements, menus, contact information, and galleries are simplified but not sacrificed, and the content is reorganized in a way that allows viewers to ingest information and see high-resolution images without having to excessively pinch and zoom. Ultimately, mobile-friendly websites help users get the same educational experience as they would with the desktop version of the site, but the experience is tailor-made for the device in which they are accessing it! Are you considering an upgrade to a mobile-friendly website design? The team at Rosemont Media is standing by to answer your questions. Contact us today to learn more about how we can enhance your online presence and give your website visitors the best experience they can find.